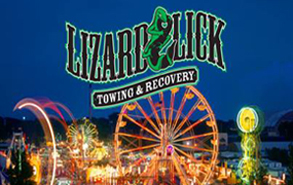 Lizard Lick Towing is pleased to announce the launch of our newly redesigned website, built by TheeDesign Studio, a Raleigh, NC based web design company. Our new site is built around WordPress, an easy to use but powerful content management system that allows our team to update content, add new pages and post blog entries, whenever we want, without a programmer’s help. We can also add images, audio, and video with just a few clicks. 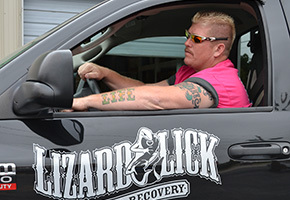 Lizard Lick Towing features an interactive navigation with an on-site blog to serve as a resource for company and industry related news about the Lizard Krew. Our site’s navigation is clear, giving our fans easy access to our home page, company information, services, our blog, and our contact information. The interface is inviting and simple to use for our fans and customers. In addition to the convenient interface on the front end, WordPress features a user friendly interface on the back end as well. In one hour of training, TheeDesign Studio was able to teach our team how to manage the website ourselves. We found WordPress to be intuitive, simple, and easy to use, making content updates a breeze. Our custom designed and developed WordPress website features an on-site blog that gives the Lizard Staff the opportunity to showcase their personality and skill, and offers our fans a resource for exclusive news and updates. Our blog is easy and simple to update and helps position our website as a valuable asset to the community. One of the best and most useful features of our new CMS website is the online contact form built by TheeDesign Studio. Now our fans and customers can request our Krew at an event or get a quote to have their collateral repossessed simply by filling out the corresponding form on our contact page. This feature saves time and simplifies the process for the Krew. Overall, we are very proud of our site. We found TheeDesign Studio after conducting an extensive search for Raleigh Web Design in Google. After speaking with their team, we knew they understood our vision and were the perfect partner to help fulfill our specific needs. Click through our website to see for yourself. Don’t forget to check out our blog, where we feature awesome news about upcoming events and the latest escapade by the Lizard Staff. Don’t look at God and say see how big my problems are. Rather look at you problems and lough when you say problems look how big my God is.